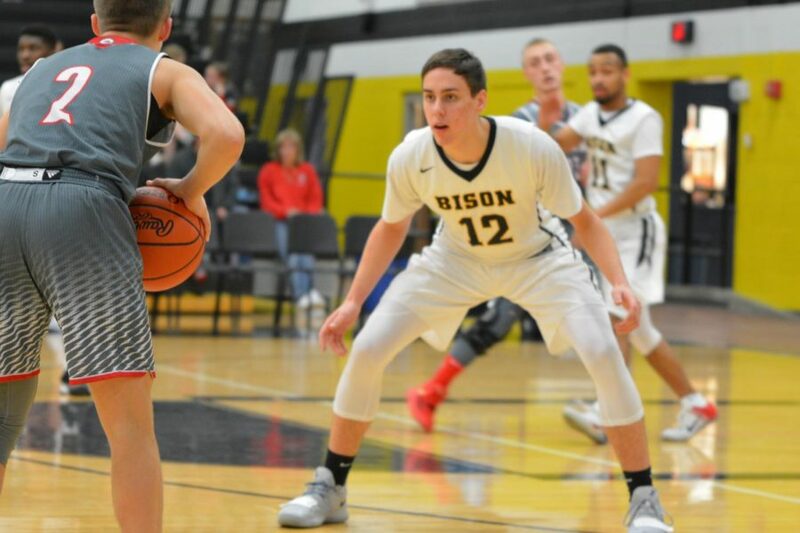 Starting forward senior Jayson Woodrich averaged 26.5 points per game this basketball season and was named Division III District Player of the Year. Woodrich feels good about the honor, but is humble about his accomplishments. Woodrich was also First Team All-Ohio. His name and picture will be put up on the Wall of Fame. “It feels great, and I am honored,” he said. 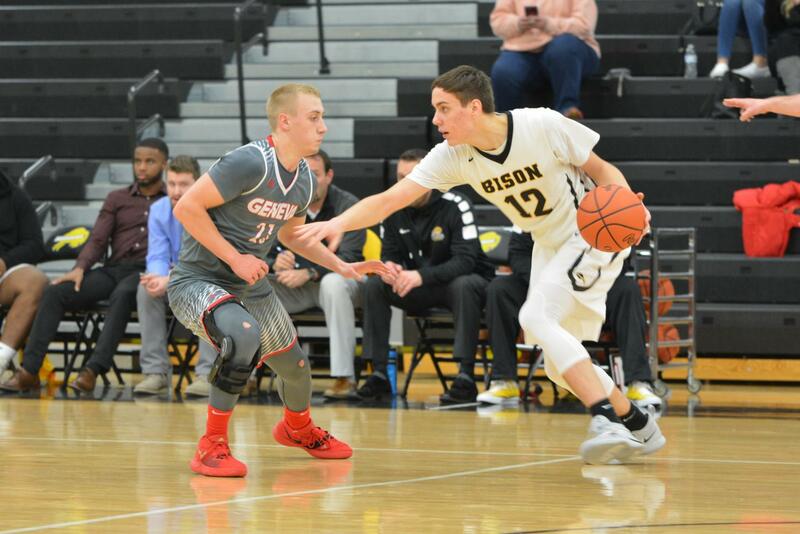 Woodrich came to Beachwood in 8th grade after the basketball season, and quickly showed his potential, getting varsity playing time in his freshman year. “It felt like I had a lot to learn to play on this level,” he said. Beachwood was led by Coach Miller that year with a very talented, elite team. One member, Maishe Dailey, was division one caliber and went on to play with the Iowa Hawkeyes. This is Dailey’s junior year at Iowa, and the Hawkeyes made the second round of the NCAA championships. Others on the team that year included Tyrone Gibson, who was named Northeast Lakes District Player of the Year and Desmond Crosby, who was 2nd team and Ronald Jones was 3rd team for the Northeast Lakes District. Woodrich has been working his whole life to achieve his goals on the court. “I have been playing basketball since I was four,” he said. His teammates and coaches recognize his talent. “It felt different, I’ve never played a real season with a player of that caliber before and having him on the court made everything so much easier,” senior Scott Newkirk said. Davis also admires Woodrich’s competitiveness. “Jayson rises to the competition,” he said. “Some players fold or don’t play as well when the level of competition rises, but he adjusts quickly and excels in the moment. In a game against Harvey on February 1st, Woodrich was awarded and honored for joining Beachwood’s 1000 Point Club. Woodrich also noted that he hasn’t been aiming for this club. He is a team player and his goal every night is to try and put his team into the best position to win during all games. He did just that when the team played Division 1 against Garfield Heights. Woodrich had an amazing game of 31 points. Woodrich was also helped by his teammate Scott Newkirk, who led the team second in points with 11 points in the fourth quarter. Beachwood fell to Kirtland 71-52 in the sectional final on March 1, which resulted in Woodrich’s last game as a Bison. “[This season was] very good, but… I felt like we had a lot of ups and down[s],” Woodrich said. But it isn’t the end for Woodrich. Now it’s off-season and this is when all the hard work is done to improve and prepare for next season. Woodrich will be graduating this spring and hopes to play basketball in college. “This offseason I’m looking forward to working with Jayson more on his ball handling and creating space to shoot off the dribble,” Davis said. “My plans for this off-season are working out and training,” Woodrich said.